The 2019 iteration of Global Art Forum was organised by Commissioner Shumon Basar, with Editor and Writer Victoria Camblin, and Curator and Writer Fawz Kabra as Co-Directors. This year’s two-day forum, the most significant of its kind in the Middle East, North Africa and South Asia, took place in March 20-21 during Art Dubai at Madinat Jumeirah. Following on from last year’s theme of automation, Global Art Forum 2019 united a diverse cast of global minds – from renowned curators and critics to educationalists and entrepreneurs – under the theme of “School is a Factory?” and address some of the urgent challenges and opportunities facing education today. Sign up to Art Dubai’s newsletter and follow @artdubai on Instagram, Twitter and Facebook for regular updates. Global Art Forum is supported by the UAE Ministry of Foreign Affairs and International Cooperation. THE BAUHAUS SCHOOL (PART I): WHERE IN THE WORLD IS THE BAUHAUS? THE BAUHAUS SCHOOL (PART II): (WHAT) ARE WE STILL LEARNING? A look at the Bauhaus’ non-European remit – in India, Morocco, and elsewhere – offers an opportunity to re-contextualise its impact today. How can we channel its spirit to reimagine culture as a social project in a contextually relevant way? And what would we need to build – or tear down – in order to foster results? What is a laboratory? What is experimentation? How do these tools facilitate artistic and scientific research – and how do such specialised work methodologies translate across disciplines, and traverse professional borders to access a general audience? Can art and science work together to progress a public dialogue? This lecture presents a curatorial perspective. Interdisciplinary and research-based cultural projects face particular questions when they enter and aim to serve in a public sphere. From the built environment to community support, what are the ideal conditions for – and the ideal outcomes of — sharing research findings? Experimentation is integral to an institution’s progress, innovation and growth. In industry, technological research and development is essential for remaining viable and competitive. How can art institutions respond to today’s accelerated technology? What can we learn from historical and contemporary interactions of art and technology in the field? And how are contemporary art institutions using pedagogical models to innovate? Director of Art Jameel Antonia Carver and Director of The Showroom London Elvira Dyangani Ose. Why does education continue to be an urgent topic (and department) within the art establishment? Art institutions, from private and public collecting museums to the Kunsthalle and the Biennale, continue to emphasise the importance of education. What are the critical issues and challenges institutions are responding to today? How have their mandates been articulated and how have they organised their educational missions? The global expansion of today’s art-educational panorama is high-speed, to say the least, but also surprisingly methodical and tidy. At first glance, the explosion of BFAs, MFAs, artist PhDs, semi-formal setups and auto-didactic experiments may seem like sheer chaos. But in truth, it is persistently invested in the expansion of a singular discourse, markeand infrastructure we call “Contemporary Art”. In other words, we already have a factory on our hands. The only question is how to make use of it. If you prefer to turn back the clock, back to something more small-scale and personal, then you must smash the machines immediately. On the other hand, if you are happy (more or less) with reproducing the art world, one generation at a time, then you can kick back and relax. It’s looking good. Finally, if you wish to tackle the agenda of art altogether, and harness it for more important ends, even then, the factory model has much to offer. Even then, the efficiency, depersonalisation, automation, scalability and disenchantment of a factory floor can be a promising blueprint for education today. “Hope and the future for me are not in lawns and cultivated fields, not in towns and cities, but in the impervious and quaking swamps,” wrote Henry David Thoreau of the wetlands of Massachusetts, USA. How can the swamp, as a locus of imagination, possibility, and invisible symbiosis between life forms and between humanity and its constructions, foster our thinking today, in order to serve a future of possibility? How can we learn from the swamp to argue for conviviality (living together) and sympoiesis (making together) in imagining the future and adapting to imminent unknowns? The concept of the commons as a space of collectivity and community can create new ways of learning and sharing of experience. The commons can also emerge out of states of emergency when the governing infrastructure is no longer viable. What does it look like when the space of the commons flourishes at times of chaos and consequently subverts accelerated industry? How have architecture design and curatorial practices used the commons to establish new ways of co-learning and co-working in rapidly changing times? What is the programming language of education? How do you get teams, at school or in the work place, to learn to work smarter together? What place does rock music have in a lesson plan? And what happens when you unleash 4,000 students to solve your organisation’s toughest challenges? In this interactive talk, learning designers Anna and Chris Batchelder share their universal principles of learning design gathered from a decade of work in the UAE. We live in a world of increased automation and ubiquitous A.I. Smart agents and cognifying technologies will continue to impact society. How can we classify the Artificial Intelligence currently in existence with a view to transforming science and art education – and better preparing humanity for a future of accelerating change? A follow-up to the two previous sessions, delving into the issues facing education in the region today. Our automated world – where we speak to digital assistants and manoeuvre through space while our faces are recognised by ubiquitous cameras – has been made possible because of millions of hours of machine learning, whereby large data sets of meaningful information are inputted to establish protocols that seem “human-like”. What kind of education is this? What does it, in turn, teach us about ourselves? And what can humans learn from the strange processes of teaching machines about the world as it is, or, as it should be? Victoria Camblin is a writer, editor, art historian and curator of public programming. In June 2018 she was appointed Executive Editor of 032c magazine, a Berlin-based contemporary culture publication where she served as editor from 2006-2013. In the interim she served as Editor and Artistic Director of ART PAPERS, a 38 year-old arts magazine and non-profit based in Atlanta, Georgia. Her writing has appeared in such publications as Artforum, Art in America, and Texte zur Kunst, in addition to a number of exhibition catalogues and artists’ books, and she has organized and contributed to public talks, symposia, programming, and exhibitions in Europe, in the Middle East, and in the South-Eastern United States. Camblin attended Columbia University in New York and the University of Cambridge (UK). She is a recipient of DAAD and Rauschenberg fellowships, and was the 2009-2012 Leslie Wilson Major Scholar at Magdalene College, Cambridge. Fawz Kabra is a curator and writer. She has organized exhibitions and symposia at the Center for Curatorial Studies, Bard College, New York; The Palestinian Museum, Birzeit; BRIC, Brooklyn; Art Dubai Projects; and The Armory Show, New York. She was Assistant Curator, Solomon R. Guggenheim Foundation, New York (2014-2016). She edited the reader and exhibition catalogue “No to the Invasion/Breakdowns and Side Effects” (CCS Bard/Barjeel 2017). Her writing has been published in ART PAPERS, Ocula, Canvas, Guernica and Ibraaz. Fawz earned a Master’s from the Center for Curatorial Studies, Bard College (2013). She lives and works in Brooklyn. Anna and Chris Batchelder are Co-Founders of Bon Education and Bon for Work. Like architects and designers, Bon Education creates education programs for corporates, governments, SMEs and non-profits. Their client portfolio includes organizations such as: Google, Meydan Racecourse, Dubai Institute of Design and Innovation, Godolphin, Jumeirah Group, Microsoft, Expo 2020 Dubai, CISCO, Mubadala and many government entities. Amir Berbić is a Professor and Chair of Graphic Design at the University of Illinois at Chicago’s School of Design. His work is featured in Design Issues, Visual Communication journal, Print, Graphis, Society of Typographic Arts, World Design Congress, and included in the permanent collection of the Art Institute of Chicago. Fernanda Brenner is an independent curator. In 2012 she founded Pivô, a nonprofit contemporary art space in São Paulo, where she serves as artistic director. Brenner recently curated the group shows Nightfall at Mendes Wood DM, Brussels along with Erika Verzutti and Milovan Farronato and Black Box at Fundação Iberê Camargo in Porto Alegre, Brazil. She is a contributing editor of Frieze, and her writings have appeared in many publications and catalogues such as Artreview, Mousse, Terremoto, Cahiers D’Art and The Exhibitionist. Antonia Carver is Director of Art Jameel. She oversees the organisation’s work in education, heritage and the arts, including two new institutions – Jameel Arts Centre, Dubai, and (opening in 2020) Hayy: Creative Hub, Jeddah. Cécile B. Evans is an American-Belgian artist living and working in London. Her work examines the value of emotions in contemporary society, in particular as they come into contact with technological and physical structures. Recent selected solo exhibitions include Chateau Shatto USA, Tramway UK, mumok Vienna, Castello di Rivoli, Emanuel Layr Galerie and more. Her work has also been included amongst others at Haus der Kunst, Mito Art Tower, Renaissance Society Chicago, the 9th Berlin Biennale, 20th Sydney Biennale, Louisiana Museum and many more. Maud Houssais was the Research Curator of the exhibition project bauhaus imaginista curated by Marion von Osten and Grant Watson (2017-18). In 2017, she co-curated with Morad Montazami and Yasmina Naji the exhibition Modernités Nomades on the history of the gallery of modern art l’Atelier (1971-91) at Kulte Galery. Victoria Ivanova is the co-founder of Izolyatsia, Real Flow and Bureau for Cultural Strategies (bux), and is also currently working as a researcher in collaboration with the Serpentine Galleries and London South Bank University. Her core focus is on systemic and infrastructural conditions that shape socio-economic, political and institutional realities. To this extent, Ivanova develops innovative approaches to policy, finance and rights in the sphere of contemporary art and beyond. Sohrab Mohebbi is a curator at SculptureCenter. He previously was an associate curator at REDCAT where he organized solo exhibitions with Dave Hullfish Bailey, Tamara Henderson, John Knight, and Falke Pisano among others. He is a co-recipient of The Emily Hall Tremaine Exhibition Award for the exhibition Hotel Theory and 2012 recipient of Arts Writers Grant. Christine Nasserghodsi is the Co-Founder of Mirai, a Dubai-based innovation consultancy and the former Head of Innovation Strategy and UAE Vice President at GEMS Education. Christine founded the UAE’s first maker event in 2012, which has grown into a global year-long programme co-run by GEMS and Singularity University. She is also a doctoral candidate in Organizational Learning at UPenn with a focus on cross-cultural leadership for innovation. Elvira Dyangani Ose is Director of The Showroom, London. She is affiliated to the Department of Visual Cultures at Goldsmiths and Fondazione Prada’s Thought Council. Previously, she served as Senior curator of Creative Time, Curator of the eighth edition of the Göteborg International Biennial for Contemporary Art and Curator of International Art at Tate Modern. Nataša Petrešin-Bachelez is an independent curator, writer and editor. She has curated projects and exhibitions for the Times Museum, Guangzhou; Sursock Museum, Beirut; Jeu de Paume, Paris; and Centre Pompidou, Paris. Between 2014 and 2017 she was the Chief Editor of the publishing platform L’Internationale Online. She is Curator of the Contour Biennial 9: Coltan as Cotton. Rohan Roberts is the Director of the Dubai Science Festival. He is a serial entrepreneur and co-founder of several global organisations including, Intelligent Optimism, Café Scientifique Dubai and Awecademy. He is the Innovation Leader at GEMS Education (the world’s largest private education provider) where he is responsible for promoting Innovation Strategy Planning and Entrepreneurship across over 40 institutions of learning in the UAE and rest of the MENA region. Nomeda and Gediminas Urbonas are artists, educators, and researchers working at the Art, Culture and Technology Program at MIT in Cambridge, Massachusetts. In addition they are visiting professors at VU in Vilnius, VDU in Kaunas, NABA in Milan, luav in Venice and CAFA in Beijing. The duo combine the disciplines of new media, urbanism, social science, ecology and pedagogy into an integrated artistic practice. Their work has been exhibited at the São Paulo, Berlin, Moscow, Lyon, Gwangju, Busan, Venice biennales; Manifesta and documenta. In 2018 they curated the “Swamp pavilion” – a future learning environment at the 16th Venice Architecture Biennale. Barbara Vanderlinden is a researcher, art critic, editor, and curator. Most recently, Barbara curated A 37 90 89, Beyond the Museum at MHKA, Museum of Contemporary Art in Antwerp. She served as Professor of Exhibition Studies and Director of the Exhibition Laboratory at the University of the Arts Helsinki in Finland where she organised the Laboratory of Hearing. In 1999 she co-curated Laboratorium with Hans Ulrich Obrist, the seminal exhibition about the studio and laboratory in contemporary art. Grant Watson is a curator and researcher based in London. Recent projects include How We Behave with If I Can’t Dance, Amsterdam, exploring questions of life practice and politics through filmed interviews conducted in cities including London, Sao Paulo, Mumbai and Los Angeles. Other recent curatorial projects include Practice Internationalat Iniva, London, Iaspis, Sweden, Casco, Holland (upcoming publication 2016); and at Tate Liverpool; and the research collaborations Practice International and Tagore, Pedagogy and Contemporary Visual Cultures, which address questions of the transnational through art. 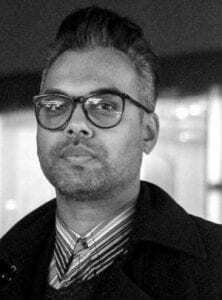 Tirdad Zolghadr is a curator, writer and the Artistic Director of the Summer Academy at Zentrum Paul Klee in Bern and Associate Curator at KW Institute for Contemporary Art, Berlin. Global Art Forum is an annual, transdisciplinary summit, based in Dubai, which combines original thinking and contemporary themes in an intimate, live environment. Since 2007, the Forum has been a key part of Art Dubai’s extensive cultural programming. Featuring live talks guided by a curated theme, Global Art Forum has brought together over 450 global minds from pop culture to renowned academia: artists, curators, museum directors, filmmakers, novelists, historians, philosophers, technologists, entrepreneurs, musicians and performers. Central to Global Art Forum’s continuing success is the dialogue the platform fosters across disciplines, reporting from every part of the world to paint a truly 21st century portrait of how the globalized world thinks. Recently, the Forum has been invited to present special editions at the Royal Academy of Arts, London; and the ArtScience Museum, Singapore. Global Art Forum is supported by the UAE Ministry of Foreign Affairs and International Cooperation.